After a year that included a regular season Atlantic 10 co-championship and second place finish in Brooklyn, VCU is going dancing yet again. On Friday at 2:30 ET, the #10 seed Rams take on #7 seed Oregon State in Oklahoma City. The game, which will be played at Chesapeake Energy Arena (home of the Oklahoma City Thunder), will be the first ever matchup between the two schools and promises to be competitive on all fronts. The Beavers, 19-12 (9-9 Pac-12), are making their first NCAA tournament appearance since 1990. They are led by Gary Payton II, a two-time All-Pac 12 First Team and two-time All-Pac 12 Defensive Team guard who is widely regarded as one of the top draft prospect in his conference. Payton is incredibly versatile, hustles hard on both sides of the floor and demonstrates some of the elite athleticism needed to compete at the next level. He makes this OSU team go, and is the key to their success in this tournament. With that in mind, let’s look at VCU’s three major keys to this game. In the A-10 championship game, the Rams were forced to get most of their offensive production from their guards due to the pressure put on forward Mo Alie-Cox by the St. Joseph’s defense. Alie-Cox was held to 8 points and 3 rebounds, both shot of his season average. For VCU to be successful in this game, they’re gonna need much better production from the big fella. Oregon State plays a similar lineup to VCU in the sense that they have no true center. It’s a three guard and two forward set with the tallest player being 6-10 Olaf Schaftenaar. If he matches up against Alie-Cox, expect Mo to use his athleticism and power to quite simply physically dominate him in the post. He has the density and muscle to bully taller and leaner big men, so expect Mo to do just that. It will also be important to get production off the bench from key frontcourt reserves like Justin Tillman and Ahmed Hamdy-Mohamed. 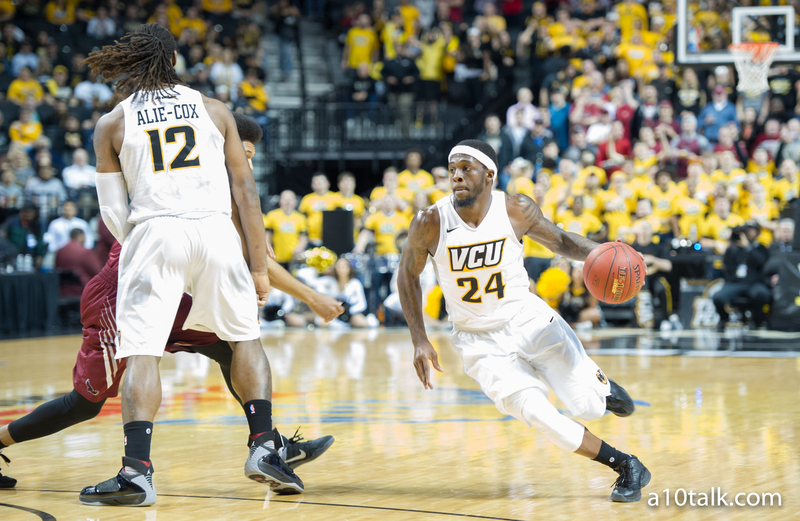 If VCU can use their depth to their advantage, they should have a good shot at this one. As mentioned before, Payton is one of the hardest-working and most diligent players in the Pac-12. Still, stopping him is a possibility. The way to beat Payton is to protect the rim. He thrives at getting to the basket and finishing with contact, but take that away and he’ll be forced to shoot mid-range jumpshots or pass the ball off. For VCU, this is something that you can definitely live with. Payton is a good scorer, but doesn’t possess the elite jumpshot of some of the best guys in the NCAA. Yes, he hits 48.4% from the field, but a majority of those buckets come from within the paint. Payton is also not a great passer and with Tres Tinke, Oregon State’s second leading scorer, likely out for the game with an injury, the Beavers’ do not have an elite second option to go to for points. Freshman Stephen Thompson Jr. is the next in line with 10.8 PPG, but minus a highly unusual game defensively, the Rams will keep him in check. It all starts though, with taking away the rim from Gary Payton II. Oregon State is by no means a top-notch three point shooting team, but they are likely going to rely on the deep ball this game to combat the Rams’ offensive attack. With VCU’s Melvin Johnson and Korey Billbury hitting from beyond the arc, OSU will need to battle and fire back with some sharp-shooting of their own. The go to option is Derrick Bruce, the freshman guard who despite not shooting a ton of threes is 54.3% from beyond the arc this season. He’s also been heating up at the right time, going 4-6 from three is their most recent loss against California. The Rams need to beware of this threat, and expect Will Wade to have a solid plan together to contain the deep ball. VCU is listed as favorites in this game, but they have to enter as they always do; with the mind of an underdog. While this is not the most difficult matchup, VCU has to grind and concentrate to pull this one off.